By Rob Westlake, Aug 14 2014 As our CRT coordinator Miriam was on holiday, John Highmore arranged the delivery of power and hand tools along with the necessary safety equipment. Graham Newman from Braunston - another volunteer coordinator joined us for the day. Our thanks to Graham for his help and ensuring all tasks were carried out safely. 7 other volunteers joined us for all or part of the day. The planned work for the day centred around 2 areas. Firstly, a tidy up of the area around Lock 14. The dry lock was again cleared of weeds and some litter. The grass banks either side of the road bridge were raked off - with dead grass cuttings and leaves removed. The hedge alongside the lock adjacent to the 'Spice of Bruerne' car park was cut. The verge and hedge adjacent to the disabled car parking bays by the bridge was also trimmed and tidied. Secondly, some members of the group then returned to the south portal of Blisworth Tunnel, to again tidy up the area in readiness for the Red Wheel Plaque unveiling ceremony on 22nd August. CRT's grass cutting contractor had that morning cut the grass bank around the 'tunnel segment', so this area was raked off and the brambles and bushes trimmed back. A small amount of foliage was cut back on the offside adjacent to the portal. A number of low hanging branches along the towpath were trimmed and those overgrowing the tunnel information signs were cleared. During the afternoon, a couple of our volunteers walked up and down the long pound to lock 16 - to cut back some of the rampantly growing brambles, wild roses and other foliage to ensure towpath users don't have to duck and dodge. The rest of the group spent the afternoon clearing back the ever evading brambles and bushes along the woodland walk. CRT's contractors had cut a swathe either side of the path, which helped enormously, but brambles grow out at head height and seem to grow extremely rapidly. Since the last task day, CRT arranged for the Tunnel Plaques erected in 1984 to mark the re-opening of the tunnel after the major re-construction, to be removed from the southern and northern portals. These have been cleaned and graffiti removed and then re-painted. CRT's staff replaced the plaques last week. 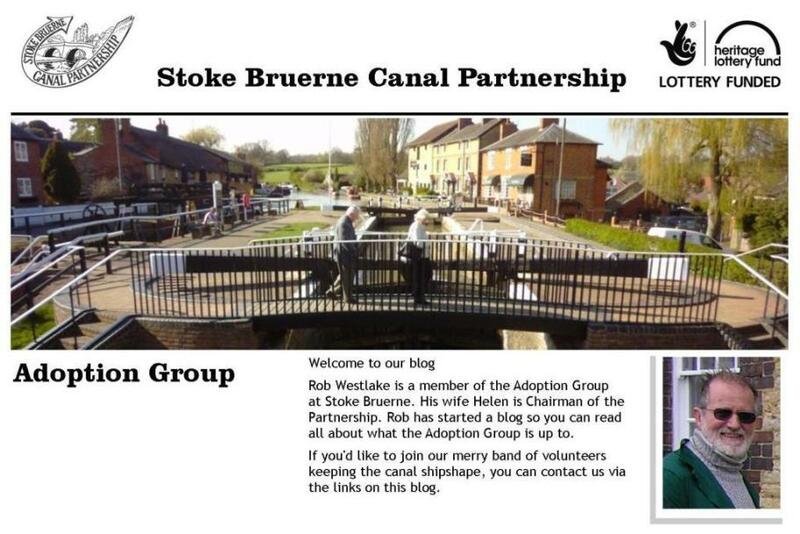 Stoke Bruerne Canal Partnership is also investigating the replacement of the small plaque which was fixed to the portal to mark the 200th anniversary of the opening of the tunnel in 2005.